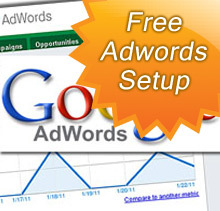 If you have a new website developed with Gillespies, then as a special added bonus I will put in place a fully functioning Google Adwords campaign for your business - completely free of charge. This is a service you could normally expect to pay £300-£500 for, and combined with my highly competitive rates for website development, it means you’re getting a great package for an amazing price. Google Adwords campaigns are fantastic for boosting your visitor numbers and generating leads for your business (locally or nationally), and because they can be switched on or off whenever you want, you can control this element of your marketing spend precisely. Even if you’re not ready to embark on an Adwords campaign straight away, setting one up is a prudent thing to do as it means you can boost sales leads the instant you’re ready to do so, and you can even specifically target a service or product of your choosing - perhaps to coincide with a certain time of year or an area of your business which is struggling. To take advantage of this special offer, just give me a call on 01296 748920 / 07773489283 and we can discuss how to get you a new business website that’s ready to appear on the first page of Google. Roughly, how much of your business sales does your website currently account for?